Transducers are used in measurement and monitoring different aspects of power outputs - voltage, current, harmonics, frequency, energy or phase angle. Therefore, they are particularly used for these types of measurements in power plants, substations and many types of industry. 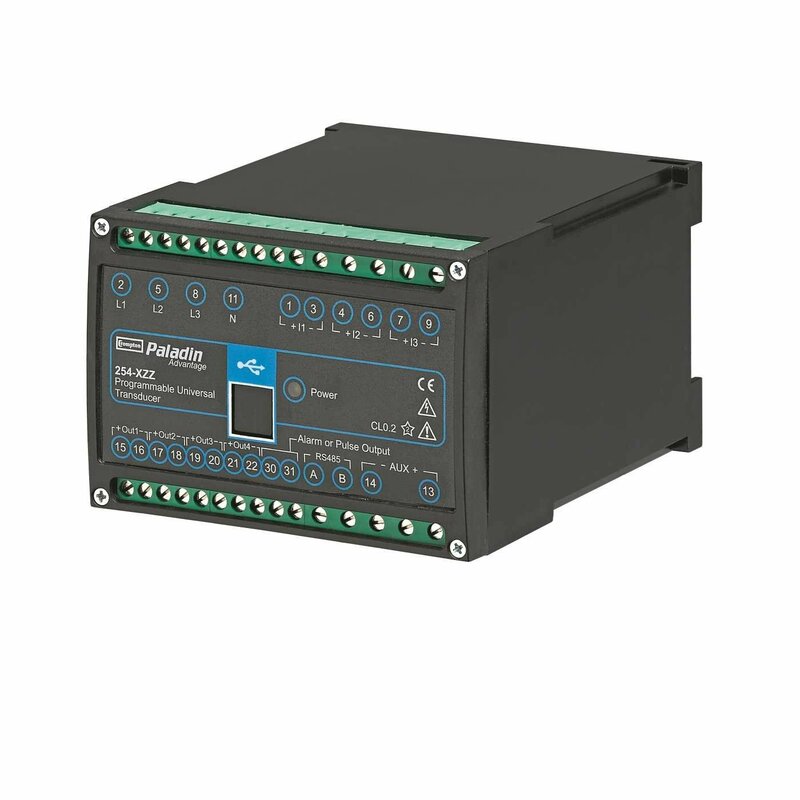 They enable further processing of the inputs through digital and analog outputs, or through user communication interfaces, which makes a foundation for precise control, prompt notification or visualisation. When the overall importance of transducers is considered, it is clear how much the quality of chosen transducers influence the entire power system's efficiency and reliability. Produced in the EU by Gossen Metrawatt, one of the leading companies in electrical measuring and test technology, SINEAX transducers guarantee quality, precision, and reliability. The SINEAX transducers product range includes: multi-functional, uni-functional, user programmable and factory programmed units – the programmable range can be delivered programmed according to user's requirements, and can also be reprogrammed by the user (with the use of a programming kit) according to their further needs. Depending on customer's needs, we offer different types of SINEAX transducers. Individual models are designed to acquire different numbers of quantities in heavy current systems and processes them into varying numbers and types of output quantities. All SINEAX programmable transducers come with password protected software for programming, data analysis, and simulation. Sineax Multifunctional Display Unit (A200) is also available for the DME4 range of programmable multi-transducers.